If you’re looking to save money, and reduce your carbon footprint, then perhaps you’re already aware of wood pellet heating, and the benefits it can bring. If not, then here’s what you need to know. 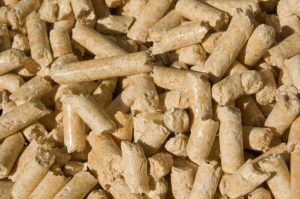 Wood pellet boilers and stoves use virgin wood offcuts that are then turned into pellets. This means that they are already recycled wood and better for the environment. In addition, they are often produced using processes that use renewable fuel and are carbon neutral, and so you’ll be doing your bit to save the planet. You’ll find that switching to pellet heating will save you money, as pellets are much cheaper than oil and coal. Depending on which model of boiler or stove you go for, you may be able to save as much as 50% on your heating fuel costs. Wood pellet boilers offer incredible performance, and so you’ll be able to install a small boiler in your home, and know that it will provide the heat you need. With models available from around 9kW to well over 100kW, you’ll be able to find the right boiler to meet your heating requirements no matter whether you need to heat a home or a hospital. Modern wood burning boilers are extremely efficient. Running at up to 94% efficiency, depending on the model and usage, you’ll find that you get a lot of heat for each load of pellets you burn. You’ll find that many places are selling wood burning boilers, and it can be hard to find the right supplier. You’ll also need to make sure that the supplier you choose can help you with the installation, and ensure that your boiler or stove meets the relevant regulations. You’ll need to establish what you need your boiler to do, and understand some of the basic features, so that you’re not swayed by an enthusiastic sales person, or encouraged to buy something that isn’t suitable for your needs. You’ll find that the cheapest models don’t meet your needs, and the expensive models may be much more than you need. Wood pellet boilers can be used in both domestic and commercial environments, so no matter whether you have a house, or a chain of hotels, you can save money on your heating. As wood burning boilers and stoves are very popular in Europe, the build quality and durability is impressive. Your new boiler or stove is built to last, and will provide you with many years of reliable service. As well as choosing the right boiler, and supplier, you’ll also need to make sure that you have a reputable wood pellet supplier to provide you with the premium pellets you need for your boiler. Depending on your supplier, you might be able to get a contract, that will provide you with a fixed price for several years. This will help you to accurately budget for your heating costs. As well as costing less to run, and being better for the environment, you’ll also find that your new wood pellet boiler will entitle you to the Renewable Heating Incentive payment from the government. This means that you will paid a quarterly amount for using renewable heating. The amount paid will depend on the power output of your boiler, and the amount of heat you use. Now you know why you should switch, isn’t it time for you to think more about different boilers (www.localboilerquotes.co.uk/how-much-does-a-new-boiler-cost? ).